August is over, time to share with you my favorite beautyproducts of the month! First up: my new perfume! I had been looking for a nice perfume for some months but never really liked the ones I tried. This one however I immediately lovvvved. It smells sweet but is not too heavy, but it's not too light either so I can wear it during autumn and winter. Just lovely! Allright, I know I don't need 'anti ageing' handbalm since I'm only 20 years old, but this cream has really helped me the last few weeks. I had a summerjob that involved carrying and opening a lot of cardboard boxes with my hands so that resulted in a lot of broken nails (fml) and a lot of callus on my hands. This cream worked ultimate wonders. Since I've started using it my hands have actually become softer again! This brand of beauty products is not available in other countries than Belgium (I think) but it is amaaaazing. Before I used this moisturizer I used a cheap one from Hema and it did the trick, but my skin always felt very oily after I applied it. This one however sinks into my skin (is that even a correct sentence?) immediately and applying foundation after it goes perfect. Not cheap, but definitely worth the money! So a few weeks ago, I went to Madrid with my boyfriend and my luggage got lost on the plane. Awesome. But that happening was ofcourse a very legit excuse to go shopping, and so I did! I had to have some foundation and in some little drugstore I found this brand Astor. I had never heard of it before but it has been the discovery of the summer. It matches my skintone perfectly and doesn't feel like I'm wearing a mask. Great find! I bought this one for the same reason I bought the foundation, and again I was really pleased with this brand. The brush makes my eyelashes separate and it doesn't clump at all, what more do you want in a mascara? What are your summer beauty favorites? When I checked my mailbox a few days ago I noticed that it was FILLED with fashion newsletters saying things like ‘70s glamour’ or ‘Made in the 60s’. 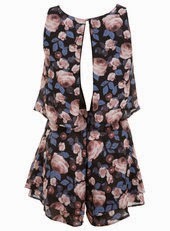 So apparently, retro fashion is back again (has it really ever been out of style?) and I could not be happier about that! I’ve always been a retro kinda girl. Whether it’s about fashion, interior or music; I like all things ‘old’. Two of my all time favourite movies are Grease and Hairspray. I just looove the atmosphere in those movies: people actually dancing with each other instead of girls grinding on boys. I always felt like I was born too late. Ever since I was little I wished to have lived in the 60s and 70s. 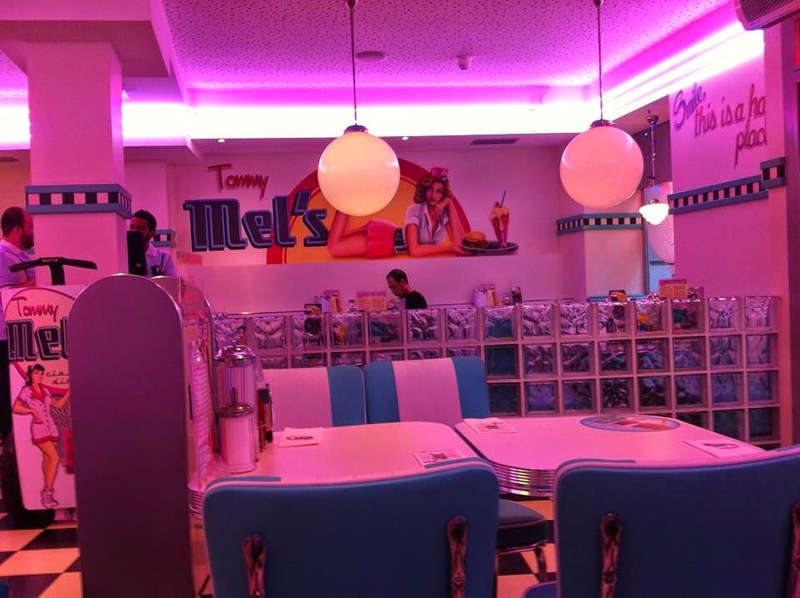 When I was in Madrid with my boyfriend two months ago we saw a diner called 'Tommy Mel's Classic Diner', a chain of restaurants completely in 50s style and I convinced my boyfriend to go eat there for our last night in Madrid. 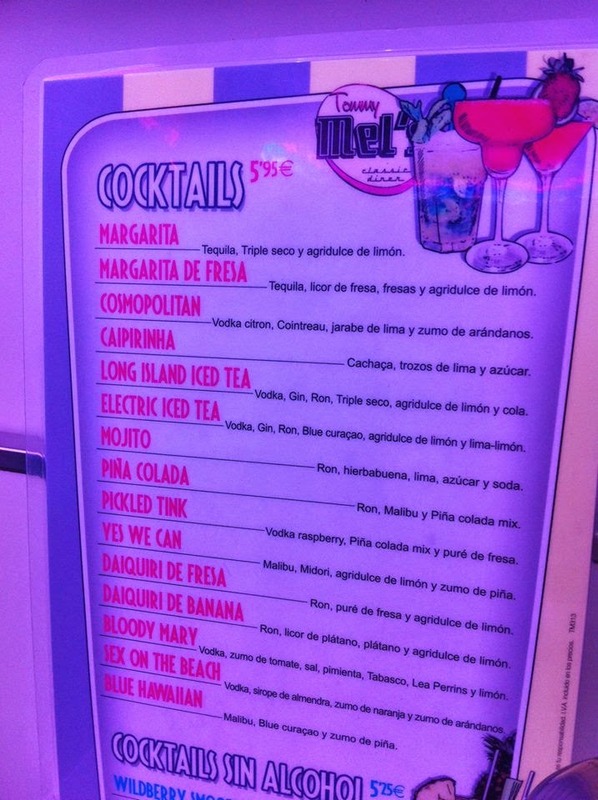 And boy, not only was the food delicious but once you enter the diner you really get that 50s feel. Staff in traditional 50s uniform, Elvis Presley in the background and every detail in the interior was 50s style. 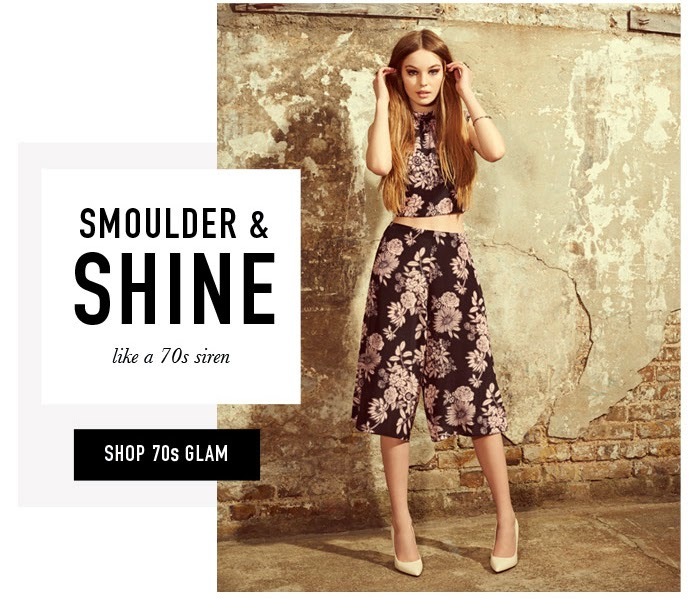 So ofcourse I am a big, big fan of all these retro inspired fashion campaigns. And the good news is that a lot of cheaper high street stores are happy to join in on this trend. 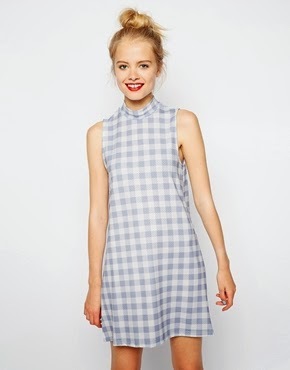 Asos and Miss Selfridge have some beautiful, affordable retro inspired clothes that are definitely going to get in my closet in the next weeks! So today I thought I’d talk to you a little about one of my passions: tattoos. I have two tattoos myself (an ankh in my neck and ‘Ama me fideliter’ on my ribs, close to my heart) but that just isn’t enough. I have sooo many ideas for other tattoos in my head, but unfortunately, good quality tattoos cost lots of money and as a poor student I don’t really have that right now. But I know that one day I’m gonna be all tatted up! For now I have no other choice then just browse the internet, get tattoo ideas and admire other tatted bodies. On my instagram I follow a girl that calls herself MelonLady, a girl with (at this moment) purple hair, a vintage clothing style and lots of tats, and she has a youtube channel as well. Recently she posted a video online on ‘things not to say to a tattooed person’. And honestly, I very much like what she said there. Sadly, in our society, people with tattoos are still often looked at as criminals. Even in my own family I got a lot of bad reactions to the little tattoo in my neck. But I just can’t and I will never understand how getting a tattoo makes a person a criminal… Sure, there are criminals out there who have tattoos, but there are at least as much criminals without any tattoos. I almost feel like in our society a tattoo is a mark, something that makes it okay for other people to judge you more quickly. Anyway, whatever society’s standards are, they will not stop me from getting tattoos. What are your opinions on this? So this week’s Beautiful Sunday post is actually an addition to last week’s posts (you can find that one by clicking the ‘Beautiful Sunday’ button above) and therefor is going to be on skincare. Last week I talked about what kind of products are necessary to use for having a good skin, but I also said there that I don’t really like to use a lot of products on my face. So this week, I am going to talk to you about what kinds of food are good to get nice looking and healthy skin. I’ve listed my favorite ‘skin friendly’ foods here below, but note that of course you have to live a healthy life in general for your skin to look good (just eating some of these will not magically make your outbreaks go away forever, sadly enough). 1) Dark chocolate: Cocoa hydrates your skin, making it firmer and more supple. Eating a few squares a day should be enough to improve luminosity and when applied topically, the caffeine in chocolate may temporarily reduce skin puffiness! 2) Pomegranates: These are packed with polyphenol antioxidants, which fight free radicals and regulate skin's blood flow, giving it rosiness. One pomegranate or a few glasses of juice daily should do the trick. When applied to your skin, the fruits' antioxidants help to smooth lines and moisturize. 3) Walnuts: These contain omega-3 essential fatty acids, which can improve skin's elasticity. The nuts are also loaded with copper, a mineral that boosts collagen production. 4) Green tea: Very high in antioxidants, particularly one named EGCG, which is proved to reduce redness. 5) Avocado: These are a source of antioxidant Carotenoids that provide significant protection for your skin from the environmental damage that leads to fine lines, wrinkles and other visible signs of aging. They also contain good amounts of vitamin C (needed for the creation of elastin and collagen), vitamin E (that assists in preventing free radical damage from oxidizing fats in your skin cells that lead to aging skin) and moisturizing monounsaturated fatty acids, the building blocks of healthy skin. There you have them, my favorite skin friendly foods. I hope to have helped you a bit! Also, what are your tips on getting healthy skin? I’d love to hear them! First of all, I am so so sorry for the delay of this post but with my laptop broken I just didn’t have the chance to upload this on Friday. But it’s fixed now (thanks to my lovely boyfriend!) so from now on all posts will be on time again! Now on to the topic of the day! Yup, August is almost over, and that means AUTUMN is on its way! Autumn is without any doubt my favourite season of the year. I can’t wait to just sit inside, watch a movie and cuddle with my Loved One while outside there’s a thunderstorm going on. There’s just something about that time of year that… intrigues me. I don’t really know why, but I feel at my best in autumn. And that has probably something to do with the fact that autumn is the time of year when I can fully express my fashion ideas. I always have outfits in my head but in summer it’s mostly too hot to wear them, and in winter you just want to go outside in clothes of the thickest fabric you can find. So in this respect, autumn is perfect (yay for rhymes)! Not too cold, but cold enough to put on some layers. I get excited even thinking of it, so for this Fashion Friday I thought I’d share with you my personal Fashion Wants for autumn! I’ve never really been a big fan of sneakers (mostly because I always thought I looked like a fool wearing them, no idea why) but the last months I have been craving a good pair. I bought some cheap sneakers last year to go to a festival and I was going to throw them away afterwards, but they actually still looked pretty good so I decided to keep them. And oh my god, have I discovered the beauty of sneakers then! So comfy, so versatile and so good looking! You can wear them on basically anything and you don’t have to worry about the rain ruining them or breaking a heel. I went on a small trip to Mechelen on Friday and I just had to go inside Fast Forward Sneakershop. A modern shop with a young staff and unique in its kind: they only sell sneakers! I bought a pair of grey Keds’ sneakers that weren’t too expensive (but not cheap either) and I already know that I am going to be wearing them until they fall off my feet. Another pair of shoes I definitely must. have. 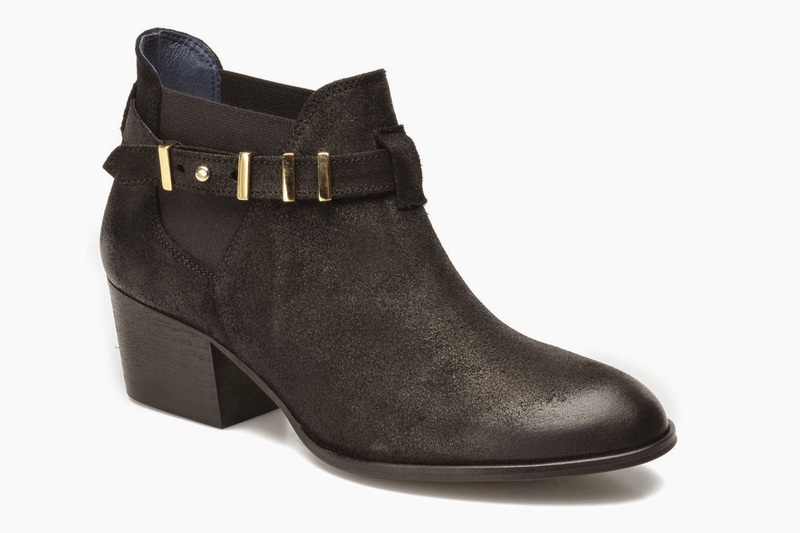 this autumn is a pair of black, flat booties. They look cool, they are comfy and you can (again) wear them on anything you like. I’d personally pair them with some leggings and an oversized sweater to create almost a lazy but really fashionable and autumn proof outfit. These black ones from shopLily (also in Mechelen) are so gorgeous, but really expensive as well so I keep looking for a cheaper but equally good looking pair. This is probably going to be the hardest thing to find. I have the perfect straight cut coat in my head, but as is always the case with clothing you ‘invent’ in your head: you never really find the one you want. Anyway, a good quality straight cut coat is something I am going to invest some more money in. I’ve always thought that if you buy a cheap autumn/winter coat that you have to throw away when the winter is over because it’s ‘out of style’ or just worn too much, you are really wasting a lot of money. So therefor I am on the lookout for the perfect, timeless straight cut coat to spend lots and lots of autumns and winters in. A must have in my closet every day of the year. 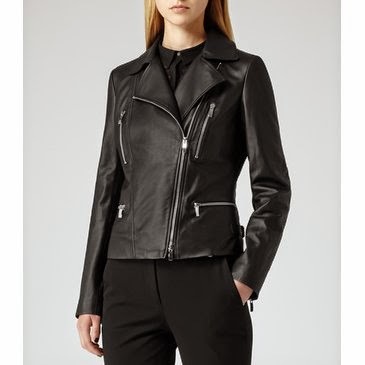 I always have and always will be a sucker for the rockchick style, so I can almost live in biker jackets. I’ve had one from Zara for about 3 years now but the pockets decided to break so I’ll have to be looking for a replacement. A task not as hard as finding the perfect straight cut coat, but definitely a task worth putting some effort in. After all, a jacket is something you wear every day and has to match all of your outfits so looking a bit longer for a (maybe more expensive) good quality one is definitely worth it, don’t ya think? 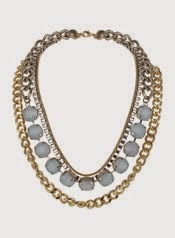 The perfect accessories for every outfit to add a bit more glam and sparkle to the grey autumn days. 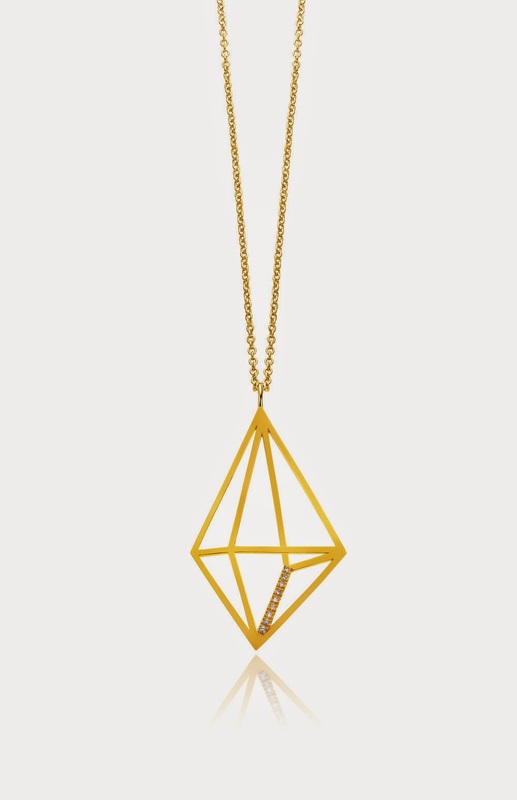 I used to buy really cheap jewelry all the time (mostly because I don’t have money to buy expensive jewelry) but I’ve decided to save up a bit to buy some good quality golden necklaces. After all, when jewelry is cheap, it also LOOKS cheap and honestly, I’m a bit bored with all of my necklaces and rings to lose their golden color and leave a green mark on my fingers. So, looks like I still have a lot of things to look for and a lot of money to spend. Poor wallet. Anyway, what are your autumn/winter Must Haves? Let me know! So a few months ago, I was looking up some massage techniques on youtube and I stumbled upon a channel called PsycheTruth where a lovely lady (Athena Jezik) demonstrated on a model how to massage someone's back. As I was watching the video I felt that her voice and the sounds of her hands on the back of the model were very relaxing and i almost fell asleep to it. I also felt some tingles on my head of which I couldn't quite explain where they came from but that I got addicted to instantly. Little did I know that I then discovered a phenomenon that I would not be able to live without a few months later: ASMR. ASMR stands for Autonomous Sensory Meridian Response and is a neologism for a perceptual phenomenon characterized as a distinct, pleasurable tingling sensation in the head, scalp, back or peripheral regions of the body in response to visual, auditory, tactile olfactory and/or cognitive stimuli (source: Wikipedia). Basically, what ASMR does is relax you purely with sounds. There are a lot of youtubechannels out there created just for ASMR, with lovely people putting a lot of effort into their videos to make them as relaxing as possible. There has been created a whole ASMR community where everyone is loving and caring and anyone is welcome. During these last months I've been 'investigating' this phenomenon for myself and I've learned that my best triggers are scalp massage sounds, hairbrushing sounds and ear cleaning sounds. 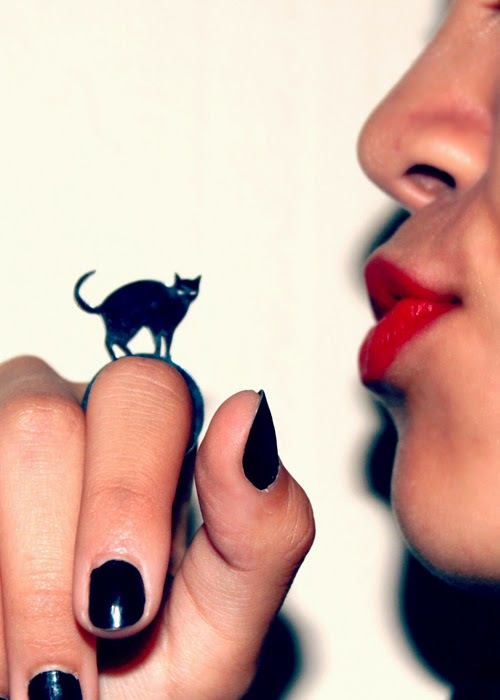 However, a lot of people have different triggers such as scratching sounds, tapping sounds or whatever sounds there are! I personally use ASRM for relaxation after a busy day, when I feel stressed out and to clear my mind. And I must say, it is really addictive.. when I watch an ASMR video I can let go of everything, all my worries just dissapear and I almost always fall asleep. So if you want to try out something new, I recommend you go and discover ASMR. My favourite ASMR youtube channels are ThatASMRchick, VeniVidiVulpes, WhispersUnicorn and Heather Feather. Please note that not everyone can experience ASMR. There is also no scientific evidence as to where this 'phenomenon' comes from but the fact that a whoooole lot of people can experience it and even are helped by it is something that's worth supporting in my opinion. Let me know if you know ASMR or if you're gonna try it out and most of all, share your experiences with us! Beautiful Sunday: Skincare - Overrated or Necessary? First of all, I am well aware that today is Monday and that the title of this post says 'Beautiful Sunday'. I'm having some troubles with my laptop (he just wont start up, hmmm) so I have to do everything on our family computer but since there's four of us for one laptop here I wasn't able to upload this post yesterday. I really hope I can get my laptop fixed today, pray for my baby!! And now on to the topic of the day: skincare! Good skincare products is something that's been on my Autumn Wantlist for a while now with the weather getting colder. In every magazine and on every beauty blog you can read on the 'importance' of good skincare. And ofcourse I know how important it is to take your makeup off before you go to bed and I also like to apply some moisturizer to my face before I put my foundation on to hydrate my skin, but I've been seriously wondering if all of those products you 'must definitely use' are actually necessary. Ofcourse I'm not (at all) a beauty or skincare expert so I did some research. On Paula's Choice I found that I need to use four products daily: A cleanser (to remove makeup, debris and oil), a toner (to remove the last traces of makeup as well as to smooth, soften and calm the skin), an exfoliant (to remove dead skin cells) and last a moisturizer to hydrate the skin. Also, you would have to use these products in the morning and in the evening, right before you go to bed. Now, that all sounds very professional and good and necessary and stuff, but isn't it so that your skin repairs itself overnight? At least, that's what I've been told. I also don't like the feeling of going to bed with a lot of creams on my face. I think it's important to just let your skin breathe a bit during the night, while in the daytime it is already covered in makeup. So as long as you remove the makeup before you go to bed and let nature do it's work overnight, your skin is fine... right? I seriously don't know. Any help, advice, opinions are very welcome! One thing I know is, if I was to buy skincare products, I would make sure they're all natural and have no chemicals in them whatsoever. 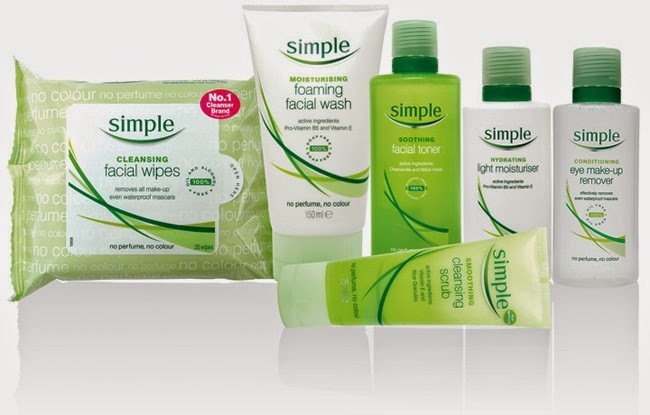 I already found a brand called Simple that says to be 'all natural skincare' and that got a lot of good reviews, so I might give that a try. I know that Lush also has a few skincare products so maybe I'll go check that out too! Anyways, all of your opinions and advice are well needed here. Let's talk skincare shall we! So last Friday I ordered some clothes on Boohoo and on Wednesday, they arrived! I’m super happy with all of them, they’re even more gorgeous in real life! I’m saving up for a good camera so outfit posts will come reaaally soon, but I didn’t want to give you guys crappy iphone pictures so I hope that’s okay! Okay, enough rambling, on this topic I thought I’d give you guys some tips on online shopping and list up my favourite online shops. 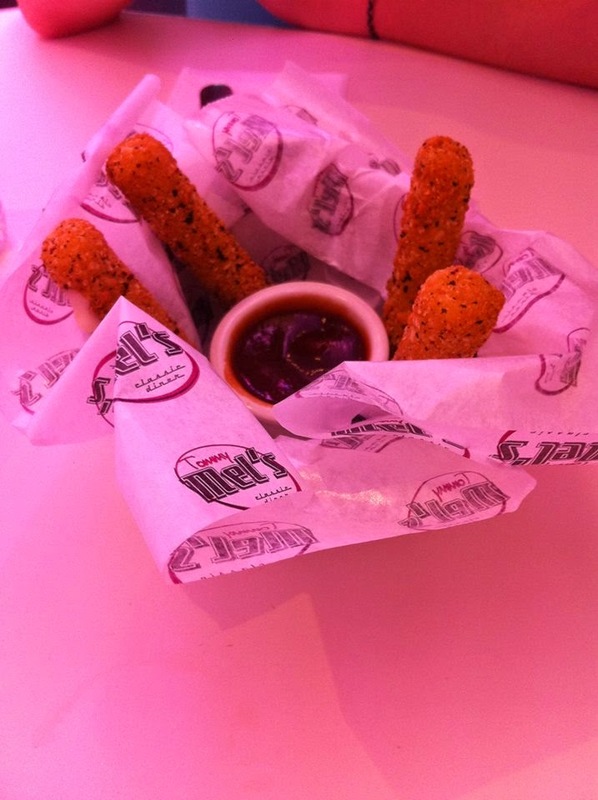 Hope you’ll enjoy and you’ll try them out if you hadn’t done that before! Ofcourse. Probably everyone knows this shop, but it just couldn’t be missing in my list. Super cheap, beautiful clothes and NO shipping costs, wherever on this planet you live! I admit, the quality of the clothing isn’t always the best (ofcourse that’s almost impossible with cheap clothes) and sometimes the fit isn’t right either. I bought a dress once that was sowed really weird so I’ve never worn it, but I didn’t want to send it back because that’s way too expensive.. Overall conclusion: good service and nice clothes if you’re not going to a fancy event. My latest find. Much like Asos, only British and with better quality clothes (in my short experience). I ordered two pairs of treggings, a maxi dress, a crop top and a sweater and all of it fits perfectly. The treggings and top feel amazingly comfortable, the sweater is just plain wonderful, warm and in a beautiful colour and the maxi dress (pictured below) is very vavavoom (as Miss Bradshaw would say). Before I received it, I was kinda worried that the fabric of the dress would be too thin and you’d see all of my underwear underneatht, but the opposite is true. While the fabric is not thick, it is thick enough to cover your little imperfections. I still need to explore this website a bit more, but definitely great so far! Jewellery handmade by a lovely British lady with a pinch of kitsch. 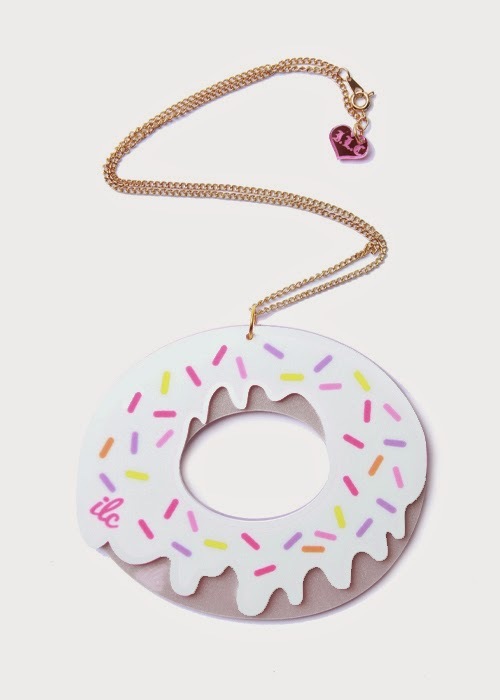 Donut necklaces, cat rings, mermaid earrings.. you can find them there! Maybe not for everybody, but definitely a good website for girls that love happiness, the colour pink and kitschy things! 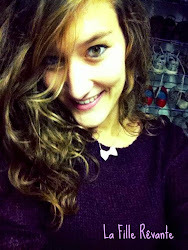 Kling, aaaah my lovely Kling! I’ve loved this Spanish shop ever since I discovered it 5 years ago. The clothes are edgy and like nothing you see anywhere else (the main reason I love it so much) and their cute bags and accessories are TO DIE FOR. When I was in Madrid a couple of weeks ago I just HAD to go inside (since they only have this shop in Spain) and I bought this beautiful marine-style shirtdress with the word JAWS on it (I discovered later in the evening that if you wear it and you look in the mirror, the letters JAWS become SWAG.. oh well :p) and it is one of my favourite dresses EVER. I also bought a little blue bag with white clouds on it for my sister and she has been wearing it non-stop so I guess it’s safe to say we share a favourite shop! As I said before, you can only find the real-life shop in Spain but they also sell everything on their website (free shipments within the EU!). Definitely go check them out! So, those are my four favourite online shops at the moment! I’m sure I’ll discover other shops and that my top 4 will change so I’ll keep y’all updated! And as always, I hope I inspired some of you. What are your favorite online shops and why? You guys like online shopping or prefer the real deal? Let me know! 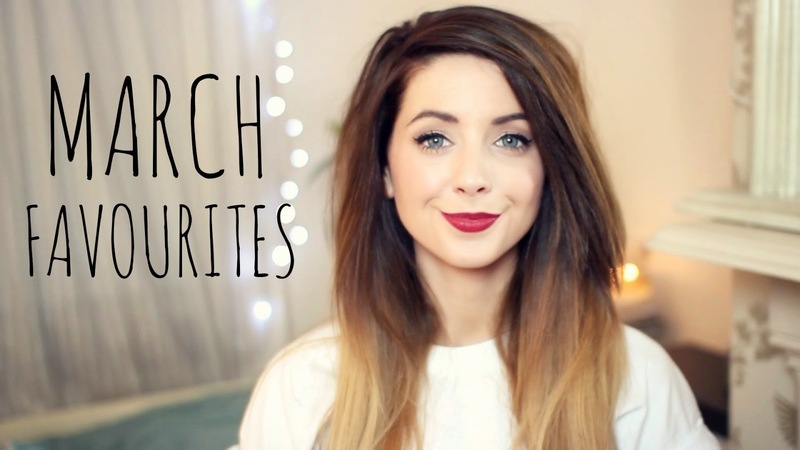 What better way to start my new blogadventure than writing on my newest addiction: YOUTUBERS. I have been obsessed with every vlogging, gaming, randomly shouting guy and gal on that lovely video platform these last few months. I very much remember the first ‘youtuber video’ I ever saw. 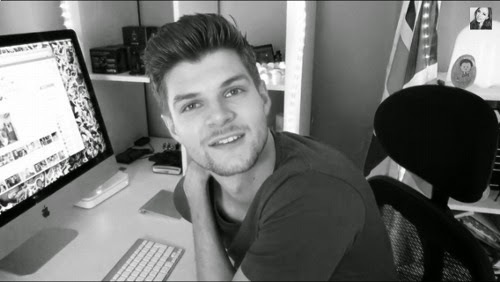 It was one by the lovely British Jim Chapman and he completely stole my heart. With that more British youtubers such as Zoella, Tanya Burr, Pointlessblog, Thatcherjoe, Sprinkle of Glitter and Danisnotonfire followed. Although the British youtubers are still my favorites, there are also some American folks that caught my attention such as Tyler Oakley and Connor Franta. And ofcourse there are the lovely South-African chumps Caspar Lee and Troye Sivan (who is also an AWESOME singer!). 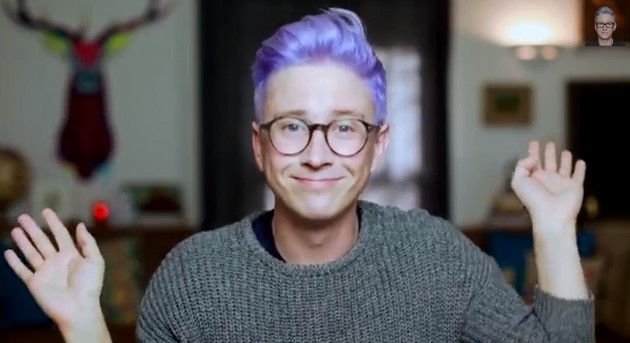 Now, what I like about the whole ‘youtuber’ concept is that each one of them talks about different topics. Most of the guys put challenges or Q-and-A’s (or as Tyler calls them; Q-and-slays) on their channel but the girls often talk about fashion and beauty and give you awesome tutorials. Honestly, I don’t know when this obsession happened, all I know is that it is an obsession allright. Most youtubers also have a second ‘vlogging’ channel where they basically just film their days and let you get a look into their lives. The SacconeJoly’s channel even is one with only vlogs of their days, every single day of the year. And it’s just awesome to watch. 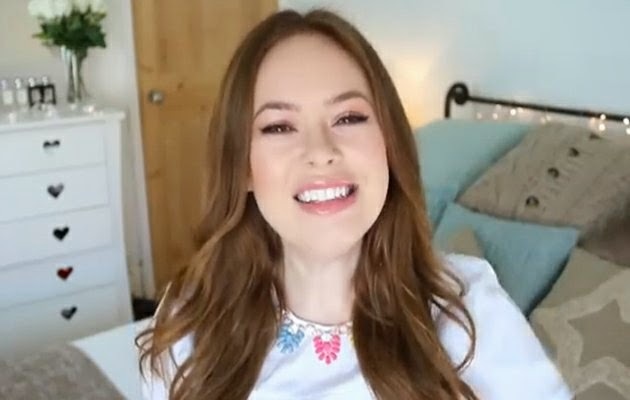 Some youtubers (naming Zoella and Sprinkle of Glitter) also write blogs or others have gaming channels where they play games and you get to watch. Over the months it’s come to my attention that not everyone appreciates the youtuber ‘lifestyle’ (including my boyfriend, ahem). Some people don’t get how someone can put his or her whole life on the internet and even get money from it. I can understand that that sounds unfair with people working their asses of each day just to make a living, but these youtubers did not always do this as a fulltime job. If you go back to watch their old videos, you can see that a lot of them have very few views and are not that well made. But the internet and social media are part of our culture nowadays and are only expanding so with that, those people grew, bought professional cameras and other filming equipment, made deals with companies and whatsoever. They became fulltime youtubers, and I don’t see any problem with that. What do you guys think? Got any youtube obsessions yourself or do you think it’s just a ridiculous concept? Let me know! Aaaah, it feels good to be back. I completely restyled and renewed my blog and for now I am really happy with how it turned out. I had some personal problems these last months and wasn't really happy with anything I did, especially not my blog. But I just missed the writing so much that I decided to come back, and this time to stay! If everything goes according to plan, you'll see posts here every tuesday, friday and sunday. I'm not really gonna explain what the concept is just yet, but you'll find out soon enough if you keep following the blog. The one thing I hope is that I can make your day a little bit better, maybe inspire you or give you some tips on whatsoever topics.